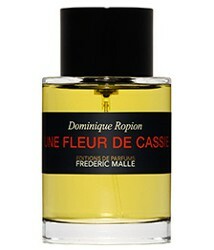 Every once in a while, a fragrance comes along that should be labeled “Not For Beginners.” Frédéric Malle Une Fleur de Cassie fits that category. Of course, perfume agnostics and newcomers can and should enjoy Une Fleur de Cassie. If you swapped out a barfly’s beer can with a glass of good Vouvray,1 he might chug the wine with a lot of satisfaction. But is he going to catch every nuance? Une Fleur de Cassie is all about nuance. The other barrier Une Fleur de Cassie presents to the beginner is that it’s not pretty. Some people might even say it’s ugly. Yet it sure is beautiful. Dominique Ropion is the nose behind Une Fleur de Cassie, which launched in 2000. Its notes include jasmine absolute, cassia absolute, carnation, cumin, bergamot, mimosa absolute, rose absolute, violet, apricot, aldehydes, salicylate, musk cetone, cedar, sandalwood and vanilla. The composition moves like music, too. Each shift in emphasis bends and melts into the next, and each stage of development interests me with its complexity. It’s not predictable, except maybe at Une Fleur de Cassie’s end, as it trails away in sweet wood and faint musk. The fragrance’s main show takes about three hours on my arms to unroll before the base creeps along for another few hours. Despite all that beauty, there’s something funky going on with this perfume. Cumin pops its head in for the fragrance’s first half hour before settling back. 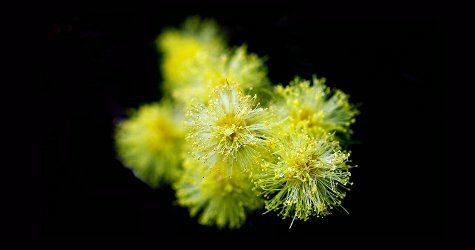 A strange, pollen-y “chewy” feeling takes over the perfume early. Une Fleur de Cassie smells a little more intimate than proper, and, well, just plain strange. That said, it’s an elegant sort of strange. In the Frédéric Malle video for Une Fleur de Cassie, Dominique Ropion mentions that the fragrance can become something you love as you wear it more and more. Normally, I’d dismiss this as PR hoo-ha, but as I’ve worn Une Fleur de Cassie over the past four days, my appreciation for it really is deepening, to the point that it tugs at my wallet. Which brings me to my final point. If you’re consider buying Une Fleur de Cassie, you might want to stick to smaller bottle sizes or plan on using it up within a few years. I have a sample that’s six months old and one that’s five years old, and the older sample has darkened and smells flatter. My new sample has lots more nuance. Which is what this fragrance is all about. If you've tried it, do you agree Une Fleur de Cassie is a gorgeous oddball? What fragrances would you put the "Not for Beginners" label on? Frédéric Malle Une Fleur de Cassie Eau de Parfum is $310 for 100 ml; $215 for 50 ml; $150 for a 3-pack of 10-ml travel atomizers; and $60 for one 10-ml atomizer. For information on where to buy it, see Frédéric Malle under Perfume Houses. Note: top image is Mimosa [background extended] by Gabriel González at flickr; some rights reserved. 1. In my first draft, I wrote “old Bordeaux.” But Une Fleur de Cassie is so much more like a complex, honeyed Vouvray. Out of fashion, but eternal. This perfume has always worked beautifully on my skin. It’s a throwback of a scent. I always feel very ladylike and very French when I wear it. I’ve always scratched my head whenever I read comments about how “difficult” a perfume it is. Perhaps my nose powers aren’t up to snuff! Or maybe your nose powers are extra sophisticated! I hope I smell you around town some day. It works well on my skin also. Great review Angela! I have a feeling my sample will be gone soon! Lovely article. I have a sample of Un fleur de Cassie. It is complex and I appreciate it but do not love it. The same happens with Iris Silver Mist. Other fragrances not for beginners would be Bulgari Black and Mitsouko? I agree that all three–Iris Silver Mist, Bulgari Black, and Mitsouko–are hard for beginners, with Black maybe being the easiest to understand and love. I still struggle with Mitsouko! I tried it five(??) years ago from a decant. Sprayed lavishly and the cumin did me in. I never retried it. Just as well for if I fell in love now I could not afford it anyway. Oh and Chypre Mousse (which I literally just sprayed on myself, thereby finishing another sample!) Younger family members refer to it as “hippie perfume”-LOL! I need to find my sample of that one! Cracks me up that the cumin in UFdC did you in, but you like Chypre Mousse! Adore the Malle, it’s never been complicated or funky to my nose. Chypre Mousse, on the other hand, induced a sprint to the Dawn and liquid Tide (if I recall correctly, it seemed akin to mold & mushrooms). I know…go figure! i can see how chypre Mousse would also do someone in! Chypre Mousse was just SO SO SO awful on my skin. Nauseating. I later tried a drop on paper and it was pleasant, but nothing could induce me to wear the sample again. Alas! If only skin were paper….Well, maybe not. Cumin can be scarily intimate smelling, but I love it, too! For cumin-phobes, let me add that although you can smell it in Une Fleur de Cassie–especially at the beginning–for me it didn’t overwhelm the scent at all. Need to try APlS pronto then, I adore cumin in cooking. It took a while for No. 5 and Miss Dior to resonate with me, but when they did, they did for good. I love them both now. Ha, Miss Dior was instant love for me. Four a giant splash of EDT from the 70’s and never looked back. I’ve always loved No 5, but Miss Dior and Mitsouko are no-gos for me, for different reasons. Aldehydes get a huge thumbs up from me; used underthings and chypres, respectively, do not. Yet? “Yet” is always the big question! Havent tried Mitsouko because I hate peach notes. But I do not like Chanel Nr 5 or At least cannot get past the first few minutes of what to me is Elnett hairspray. It definitely does tingle in the nose for a few minutes! I bet you like champagne, too! I first tried it in 2008 or 2009, and was intrigued but not smitten. Fast forward to 2013 or 2014 and after trying it again I instantly fell for it. Mind you it was tweaked in between. The current is more radiant I think. Thanks for reviewing this gem! I wish I knew to what extent it has changed! (Or maybe not.) In any case, I’m smitten, too. Victoria (BdJ) has explained it somewhere, but I can’t find it. I prefer this version. I’ve got a (big) bottle. It still smells absolutely the same. I’ll have to go find it. Thanks! A rep at the old Dallas Barneys gave me several travel sprays once and this was one of them. I enjoyed it, surely, but it was a bit like wearing a velvet suit to me. Dense and opaque. I used it all up but it was never my first choice. Hey, there’s a time and a place for a nice velvet suit! Angela, I have a 50-ml bottle that I got a number of years ago, and it seems fine to me. I’ve kept it in the box at room temperature. That said, FM does specify a lifespan for each of their fragrances. I agree this one is difficult. It doesn’t help that many of the FMs are strong and might be better dabbed than sprayed. I also find Portrait of a Lady difficult. I’d say none of the classic Guerlains are readily accessible to beginners. It took me more than four decades to love Shalimar. ???? My boyfriend told me never to wear PoaL around him again, and he’s only ever said that once before. It definitely has a piercing quality though I do enjoy it. It’s a whopper. I guess it sells really well, though. I always learn into that plush rose and patch bonks me on the nose. ???? And there’s a lot of it out there! IIRC, they used one of those patchouli fractions, and I find it blunt and hard. Maybe it just doesn’t work on my skin, though. I’ve never actually sniffed it on anyone else. You’d know, too, if anyone in the room was wearing it. Oh man, I find PoaL beyond difficult, but that’s my personal issue with (big) patch. And incense! Whew! Perversely, now you’ve made me want to find my decant for another wearing. Thanks for the report on your bottle of Une Fleur de Cassie. My old sample bottle might have been abused at some point (poor thing). Except for Mitsouko, most of the classic Guerlains I liked right away, but grew to truly love later. I always liked Jicky, for instance, but I never craved it until a few years ago. I guess I liked Vol de Nuit EdC right away, but I’m still not sure about the extrait. I don’t really like Jicky, but every once in a while I want to smell it anyway, just for the weird dissonance. ???? Vol de Nuit EdC was my first Guerlain! Well, after a failed attempt with Shalimar. It was the first complex fragrance–the first that not everyone around me appreciated–I fell for. Shalimar was hard for me I think because of the part that’s like Jicky. But you liked Jicky right away, it must have been something else that made it difficult for you. I think I simply didn’t appreciate Shalimar. I read it as one big “oomph” instead of enjoying its layers. By the time I tried Jicky, I had more experience in smelling things. So, that helped. I found Shalimar easy to love – probably because it was familiar to my nose decades before I began wearing it. I’d guess the same for No 5. I’ve never personally known anyone who wore either, but they’re out there in the ether such that I knew the scents from memory prior to buying and trying my own samples. That’s not the case for me with the other classic Guerlains (or Chanels or Diors for that matter.) Perhaps one day I’ll try some Jicky, but TBH, I’m actually a little scared of it! Jicky–especially in EdT–is a real wake-up call for civet! The lavender somehow makes it all okay, though. This perfume is my Precioussss. And as I wore it the other day I began to play with the concepts of “pretty” and “beautiful”, interestingly enough. Great minds think alike, huh? At any rate this is most definitely beautiful in the full sense of the word. It is also most definitely not pretty, though it has its moments. And just like true beauty it has dissonance which is essential. I really wasn’t sure about it when I tried a sample but it was very intriguing. Then it moved into my heart. Deciding to part with the money for a bottle took a good year or more, but finally I did. It’s the most I’ve ever paid for a bottle of perfume, which, I suppose, is part of the mystique. It is the queen of my perfume cabinet. Fabulous! This is what wonderful perfume should be about. By now, I bet’s it’s become a part of who you are. It would be terrific if each of us had a “queen” of the perfume cabinet like you do. Fleur de Cassie was pretty much love at first sniff even with the funky note at the beginning. Not sure why it works for me, but I love mimosa as long as its not gourmand, so this is perfect. I have to try some of the others mentioned above as well. I love mimosa, too. There’s something soft and comforting about it. One of my favorites. I have to confess that I felt proud of myself for loving it from the beginning, after all the, let’s say “interesting” reviews I’d read. Oh, and also proud of myself that it was one of the scents FM recommended when I answered their questionnaire. Thanks for the heads-up on its shelf-life, by the way. When I did their questionnaire, at least 15 years ago, they recommended Parfum de Therese and Noir Epices. I bought Noir Epices and swapped away later, and I still kick myself for that. I pat myself on the back over things like that, too! I guess we’re just naturally superior. Now No. 5, on the other hand, has always detested me. Well, if IT doesn’t like YOU, instead of the other way around, you’re doomed. If I’m to buy a perfume, I want the full meal deal: beautiful bottle, beautiful fragrance and maybe even catchy name. This line leaves me cold, despite the high quality and creativity of the juices. Just. Can’t. Is it the plain bottles, then? They do have a “lab” sort of feel, but I don’t mind that. That said, I never get tired of the classic Shalimar bottle for its beauty. Yes, the bottles border on ugly. The juices are expensive and well done but I cannot abide the boring bottles. Thankfully, there are so many beautiful bottles out there. Funnily enough I was thinking I must start wearing this again yesterday and then saw your review. I have always liked it but then again wore mimosa as a signature for years, so that no doubt helped. I feel glam and elegant and also relaxed in it – I can see it’s unusual but not necessarily challenging – that said I am wearing it today and fear it triggers my husband’s allergy at this time of year so we shall have to see. In terms of not for beginners, well I still hope to truly love Mitsouko at some point, I now love No5 but did not get it initially, although I did oddly adored Shalimar and Givenchy III as a teenager – so odd. I would though say the strong chypres can be very difficult at first – maybe also Soir De Lune is difficult? It’s a sign to try Une Fleur de Cassie again! I hope it doesn’t bother your husband. I agree that the old chypres can be challenging for beginners. They’re not instantly welcoming, until you know their peculiarities, that is, and expect and love them. I’ve always chalked up my, um, difficulty with chypres to their being so foreign to my nose. And that I chalk up to not being of the proper generation. I was born in 71 and figure that if I’d been born 10 years earlier, chypres would be familiar and comfortable on me, as they’d have been what I wore and smelled around me as a teenager. That’s my theory, anyway. It’s a decent theory. I love old things, things way before my generation, so chypres came relatively easily, probably because I willed them to be so. I haven’t tried Une Fleur de Cassie, but now I want to check it out. As for beginners and perfume, Mitsouko was the first Guerlain I really loved, and I now love Shalimar too, but that one took a while for me. I remember the first time I tried it, from a sample, and I thought it smelled like fancy baby wipes. When I found my vintage bottle, my thought was like, “even though I’m not really a fan, this seems like something you don’t pass up”. But then when I smelled it from that bottle, it finally clicked for me. And now I’m thinking I should revisit No.5. I haven’t actually smelled it in a long time, and I remember not liking it because I thought I hated aldehydes. I now know that there are some that I like, so I’m curious how that will change my perception. One of the best things about perfume, in my opinion, is how I continue to learn and appreciate fragrances. I wasn’t wild about No. 5 at first, either! It’s hard for me to believe that now. I love returning to a perfume and smelling it in a new way. I’ve been meaning to write a list about this for so long! But really I find ‘womanly’ fragrances so interesting and will be keeping an eye on the comments here. Thanks for the post, Angela! I’m glad this post inspired a list for you! (And your list is inspiring–I peeked at the link.) You’re right–you’re never too young to be a grande dame, or too old to be a vibrant, seductive woman. Each of these is so wonderful–and so different! That’s what struck me most in reading your list.